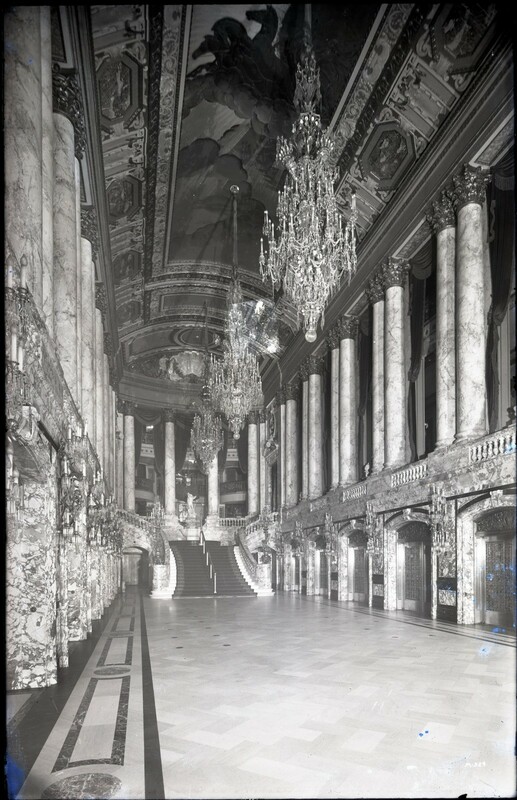 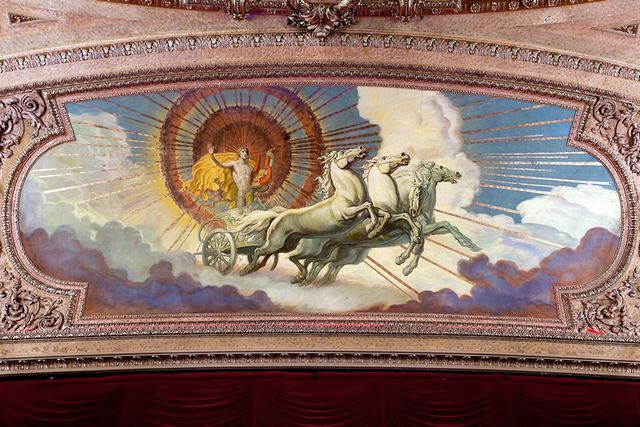 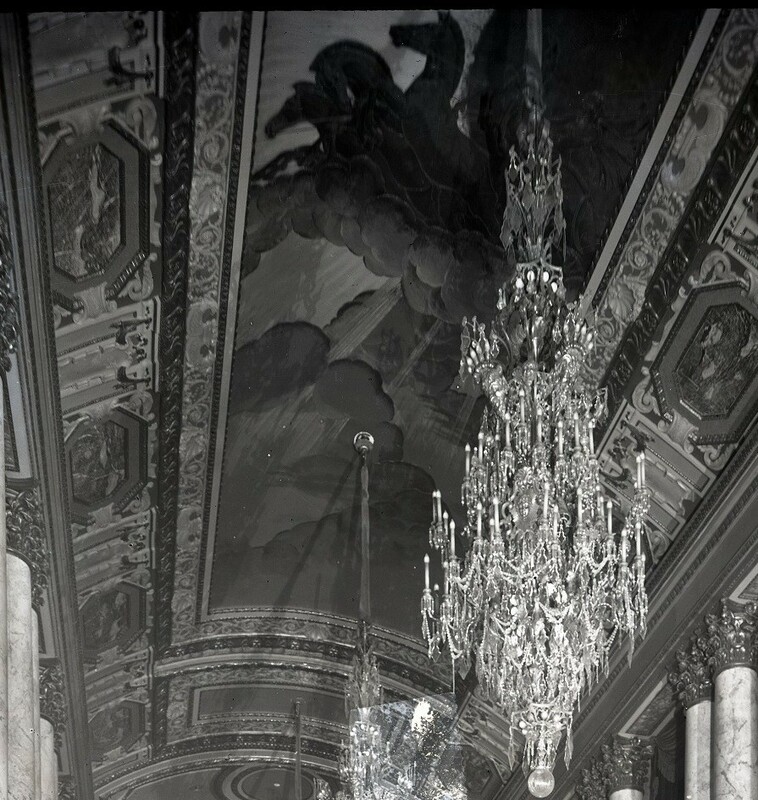 Versions of The Spirit of Light or Apollo mural study pictured here were commissioned for at least four different locations including the Chicago Theatre, the Times Square Paramount, the Netherland Plaza Hotel in Cincinnati and this one featured here in an unknown location. 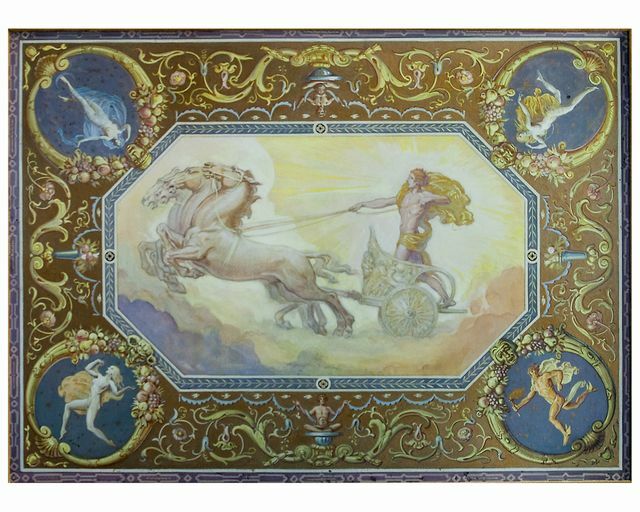 The three known locations are all very large murals ranging from forty to one hundred-twenty feet wide. 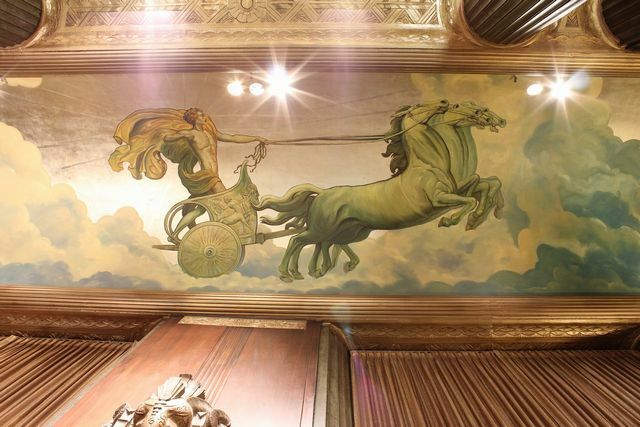 The Netherland Plaza Hotel and Chicago Theatre murals are still on display today and can be seen in person.